Enterprise risk management (ERM) seeks to develop a global approach to managing corporate risks, as well as assuring regulators and investors that the business is taking risks in a manner that is consistent with the risk appetite of the business, and that a structured, comprehensive and documented approach to managing these risks is in place. Pelican helps a business ensure that it has a deep understanding of the risks it is faced with, and that it has implemented the most efficient and effective risk management strategy possible across the business. To fully understand the power of Pelican, we advise you to download the brochures. Both the executive and technical brochure will explain Pelican in more detail. Pelican allows a business to focus on the risks that are truly important, and to assign responsibility of specific risk management activities to individuals. Pelican provides the facilities to ensure that anyone in the company can contribute to risk management, being able to demonstrate the level of risk the business faces. 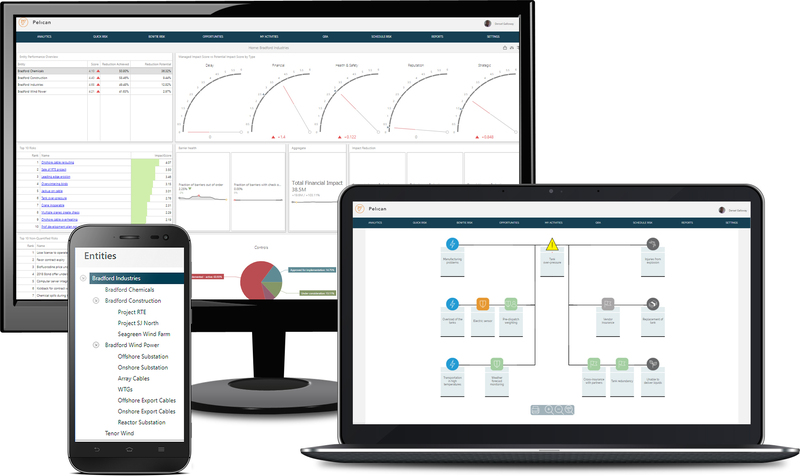 Pelican ensures that risks are evaluated in a consistent framework, yet still retains the ability to review risks within the scale of each business unit or project. Pelican stores all information, current and past, providing an audit trail of the risk and risk evaluation management processes. Pelican offers seemless integration with our spreadsheet risk modeling and project risk management tools. Now you can see all risk information in one centralized, web-based platform. 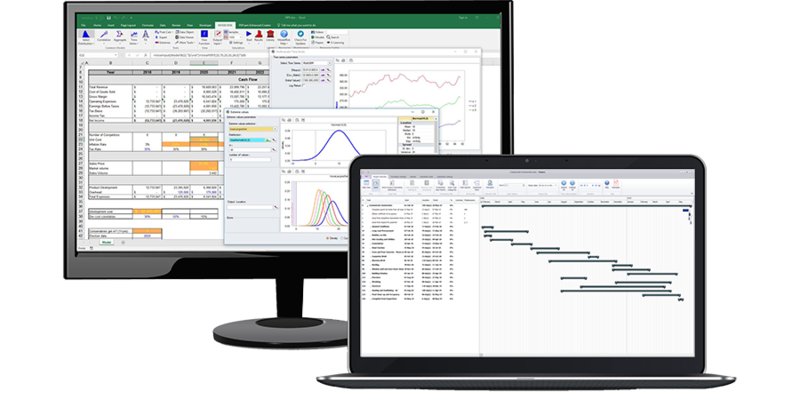 ModelRisk is the world’s most innovative and comprehensive risk analysis add-in for Excel. Use ModelRisk to describe uncertainty in your budget, financial model, sales forecast, or any other area you use Excel for. Determine how likely your project will finish on time and within budget, or what delivery date and price you can safely commit to. Tamara imports project plans of any size and complexity from Microsoft Project or Primavera. Customers are surprised how cost-effective Pelican really is. Let us surprise you too. What makes Pelican so powerful? Over twenty years of risk consulting experience has shown us that the risk register approach to logging and presenting risks simply does not work effectively. We set out to design a system that would be easy to use, require the least effort to maintain, and provide the best possible information. Our software and our services go hand in hand. We're always here to support you with your risk analysis needs. Our seasoned risk analysts are only one call away.